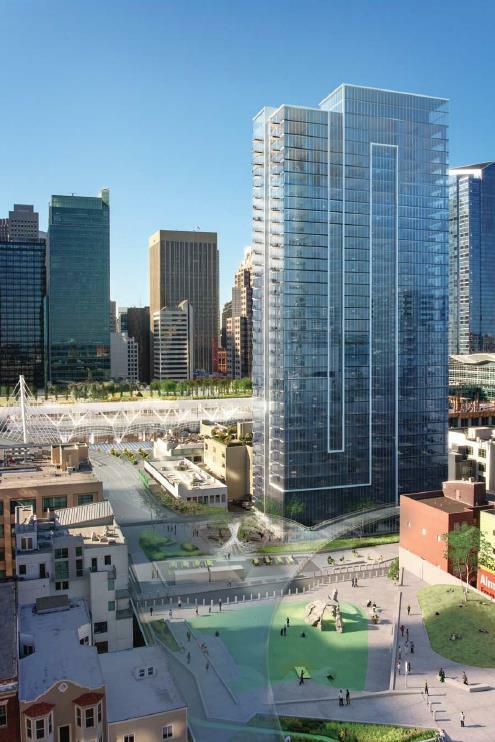 HINES, a privately owned, international realty firm, and its equity partner, INVESCO, developed this 35-story, 410-unit residential tower designed by Arquitectonica, with an adjacent landscape connection designed by CMG in downtown San Francisco. 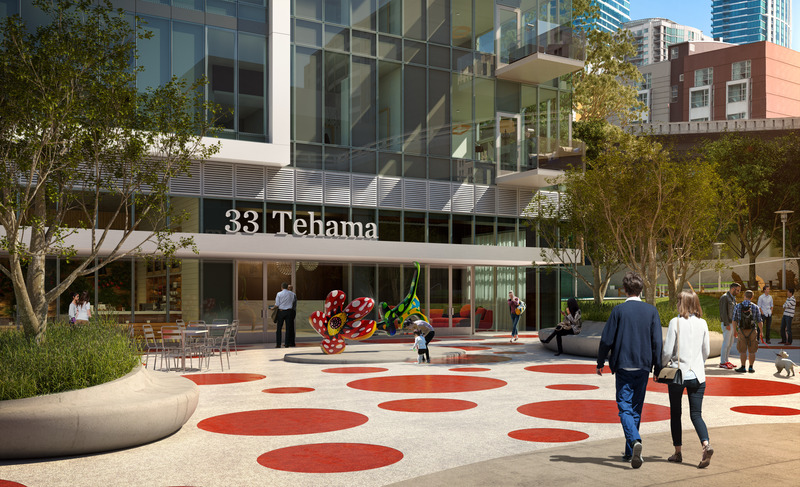 in 2014, MCQ Fine Art was hired as the fine art consultant to the 33 Tehama project, in accordance with the public guidelines as part of the San Francisco city % for art program. Yayoi Kusama’s astonishing triffid-like flower sculptures are cast in highly durable fiberglass-reinforced plastic, then hand-painted in urethane to vibrant perfection. Together with this unique plaza design by Yayoi Kusama, it is more than just a design feature, but a bold intervention that completely encompasses both the entire outdoor plaza and transcends into the lobby, in Kusama’s signature bright red spots. Kusama directly and deliberately plays with the surface of the landscape in relationship to her “Flowers Bloom at Midnight” sculpture creating a complete iconic and signature environment of her own.